Reading progress update: I've read 83 out of 1016 pages. 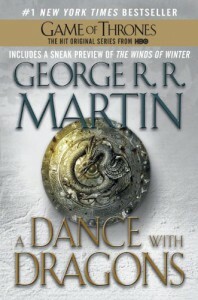 At least I get to read about Tyrion and Daenerys. How worse than Book 4 can it be? (What with over 1000 pages, it better be decent. I'm ridiculously busy these days).